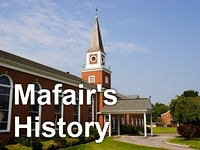 Mafair UMC: What Kind of Authority? "What Kind of Authority?" is the sermon given by Rev. Kim Goddard at Mafair UMC on March 3, 2013.